Zoos in conflict zones leave behind animals with no one to take care of them. These zoos were once tourist destinations. But now, the animals there are barely surviving. The zoos are stuck in conflict zones. As people flee the violence, animals are often left behind and are trapped in enclosures. That means little to no food, water or medicine. 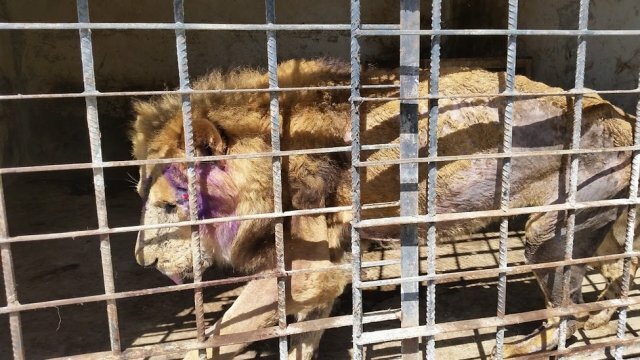 Only one lion and one bear survived at a zoo in Mosul, Iraq, after recent violence. As Yemen nears a famine, nearly 300 animals in one zoo starved and died. In Gaza, researchers found only 15 animals alive at a zoo after bombings. The once bustling amusement park was previously home to hundreds of animals. Relocating the animals can become a political issue and require negotiations with other countries. Animal rights groups have tried to care for abandoned animals but often can't get to the zoos until the conflict ends. Get the top stories from Newsy in your inbox with our free email newsletter!